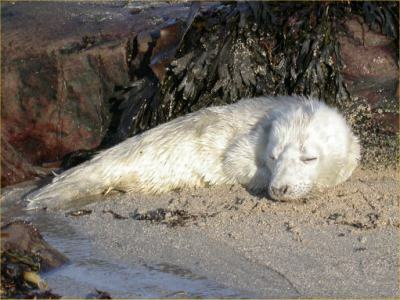 With the start of the new seal pupping season fast approaching the Caithness Branch of the BDMLR Marine Mammal Medics, are effecting a drive to improve public awareness of the problems associated with disturbing the animals at this time of year. The campaign started last week, with the group targeting beaches in the areas known to be visited by the seals while their pups are being born. Putting up signs and urging the public to avoid contact with the new born seals who stay shore bound while being weaned by their mothers. 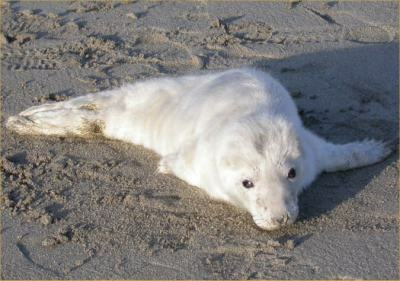 People need to be aware that the disturbance of, or contact with the seals at this time, often results in the mother abandoning the pup, leaving them to starve to death on the beach. So far this season three pups that we are aware of have already died as a result of being abandoned, two of which where transported to Ullapool for treatment at the Highland Wildlife Hospital Trust, however both where already too weak and dehydrated to be saved. The information posters will continue to be erected over the next month, together with members of the MMM visiting beaches every two days to check on the seals and give advice to the public. It would be nice for people to be able to visit the seal pupping grounds and enjoy the sight of these animals at first hand, however we would also like them to be educated to the point where baby seals do not have to give their lives. There are lots of places to see seals on the Caithness and Sutherland coast. Some are sign posted and if you stay on high ground - cliffs etc - and use binoculars and digital cameras with a zoom lens and you should not disturb them.